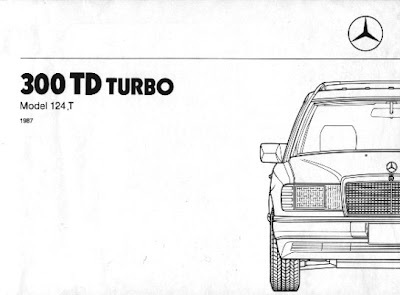 My daily driver is a 1987 Mercedes Benz 300 TD station wagon so there is some surprise when people learn that I am not only a driving enthusiast but am also an accomplished street racer. Granted, sometimes my opponents don't know we are racing. They think they are in a hurry to get to work in their M5. Meanwhile, I am furiously exercising the automatic trans to keep the mighty Mercedes in the sweet 3000-4000 RPM turbo power band. On behalf of the underpowered, I feel I need to show them just what grit and determination can deliver. When driving a Porsche, you press the gas to go fast. It doesn't matter if you blow a corner. Sheer horsepower will get you back to fast quicker than I can decipher the myriad of flickering warning lights on my Mercedes instrument cluster. The only hope for the underpowered is careful reservation of momentum. You can't brake and you certainly can't lift your foot off the gas. Performance driving of non-performance automobiles requires deep confidence and unwavering commitment. Forget accelerating out of the apex - you have to stay fierce throughout the turn. When you are thinking about pressing the brake, just don't. Instead, picture a giant sling. You are David's rock and the straightaway ahead is Goliath. Keep your momentum as you fling yourself through the turn. It will startle the competition and leave your passengers regretting that they doubted your racing skills. Speed is relative. Set the cruise control to 45 and take a dash down Main Street in a one deputy town and then tell me that a diesel Mercedes offers no driving excitement. Or how about a hot lap around an underground parking garage? Excepting the menacing concrete columns, it offers a nearly perfect skid pad to pretend you are Brock Yates testing a pricey exotic. The sound is something like strangling parrots - a specific pitch that your co-driver will remember forever after. Every car is good at something. The body roll and loosey-goosey suspension of the massive Hoopty Country Squire is so striking that all but the most brazen opponents will concede the line in every turn. My Mazda pickup truck was so stiff and predictable, you could dump if completely sideways and that little four cylinder would really roar as you powered out of a slide in 1st gear at 6000 RPM. A champion, that little truck. My high school girlfriend's Chevy Chevette was so light and nimble, you really felt like you were at the Nurburgring when airborne. Talk about quieting the competition, when they see nothing but air under your car, they know you are in it for the purity of sport. And the off-road capabilities of the Chevette were legendary. Sure, it got stuck up to the floorboards in sand, but it was so light that with a bumper jack and a couple cardboard boxes, one person could free it from any challenge in minutes. If you had two people, you didn't even need to bother with the jack as one person would lift a corner as you gave the little Chevette all the gas you had. After one particularly thrilling drive, I stopped to learn that I had lost the gas cap during the trip to the corner store. Part youthful exuberance and part the liberty of driving a car that isn't yours, I was really able to impress with the lowly Chevette. 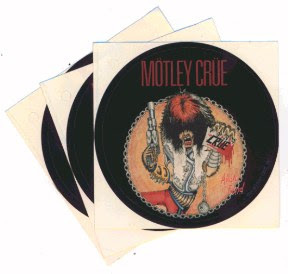 Besides, there was a Motley Crue Alister Fiend bumper sticker, so at some level, I felt there was a natural expectation for theatrics. There is nothing ambiguous about the Crue. Naturally, by way of a disclaimer, I would discourage anybody from trying such death defying antics in their own car. But don't be glum as rental cars provide ample opportunity to try all the stuff you have been wondering about - from neutral drops to emergency brake u-turns like Jimmy Rockford. There are a host of American automobile models that were clearly never destined for any non-rental car market, so disdain is natural. The Corsica does not deserve any respect and there is a natural expectation that it will be driven until it smokes from surprising places.